For as long as I can remember this is one dish that everyone looks forward to over and over again. Thank you sweet Nanny. Brown chicken and onions in pan. Cover and simmer until chicken is cooked-about 40 minutes. Add basil, peas with liquid, and parsley. Cook and drain spaghetti-Toss with a little olive oil to prevent pasta from sticking together. 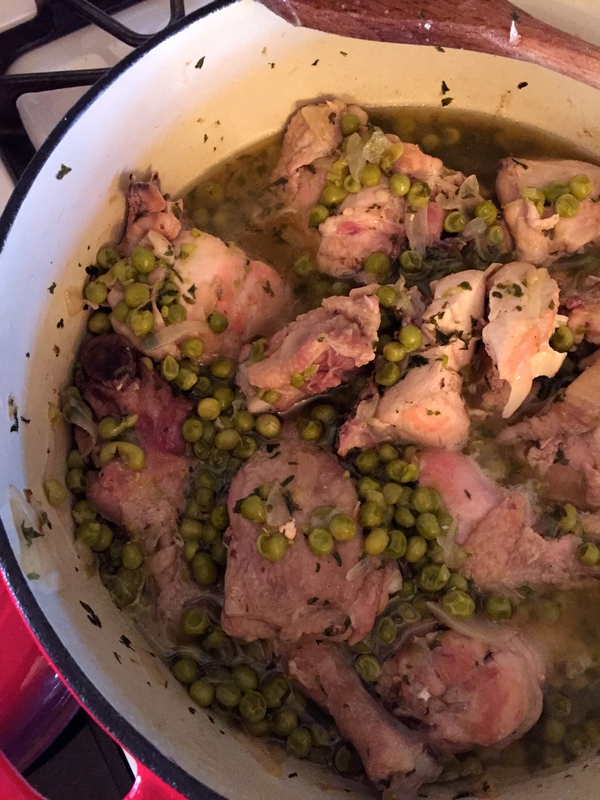 Pour Pasta into large serving dish and pour chicken and peas over top.